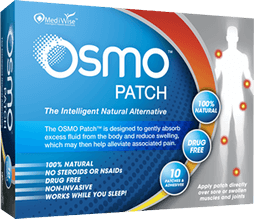 Disclaimer: The information on this page is intended for individuals who have been medically diagnosed with Achilles bursitis. If you suspect that you have bursitis in the heel then it is important to visit a qualified medical professional in order to rule out any other possible causes prior to considering any advice or treatment option. Achilles Bursitis, also known as retrocalcaneal bursitis occurs due to inflammation and swelling of the retrocalcaneal bursa. The retrocalcaneal bursa is located below the Achilles tendon at the back of the heel and can sometimes be mistaken as Achilles tendonitis. It is also not unusual for the two conditions to occur at the same time. Other than Achilles bursitis another common form of bursitis in this area is known as subcutaneous calcaneal bursitis and can be seen in the image. Achilles Bursitis is often simply referred to as heel bursitis. 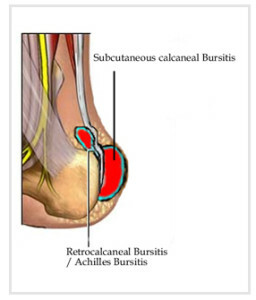 To learn more about bursitis in the heel please click the link below.